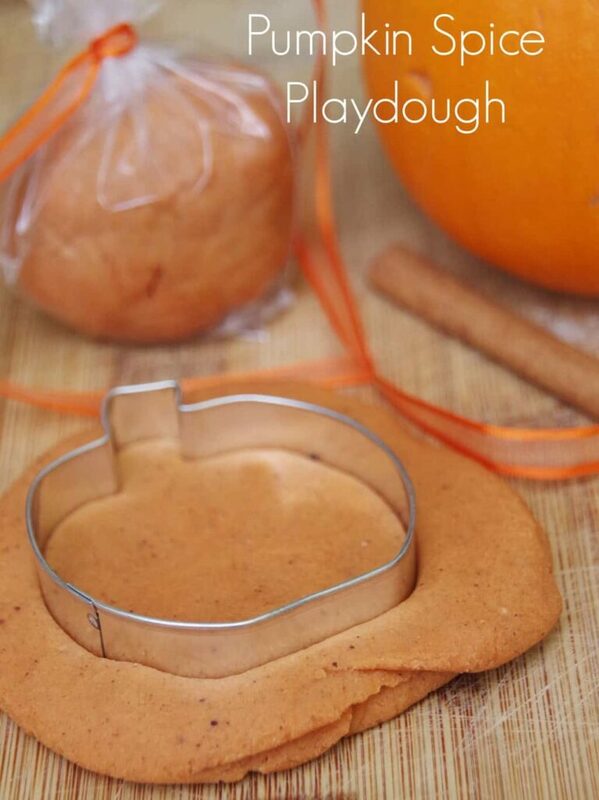 Home » Crafts and DIY » Make This Pumpkin Spice Playdough Recipe for the Littlest Trick or Treaters! Have you ever opened the door on Halloween night only to find an adorable baby with a plastic bucket in hand? This pumpkin spice playdough recipe is the perfect treat for kids who are just too tiny to be eating candy. 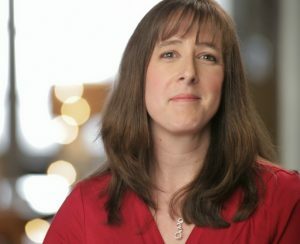 When my children were very, VERY tiny, I used to dress them up in cute, itty bitty costumes and take them Trick or Treating to the friends and neighbors that we hung out with regularly. Of course, they wanted something to put into the tiny plastic pumpkin we brought along and usually just tossed in candy that my baby was never going to actually eat. Even as toddlers, my kids almost never got candy so we loved the non-candy treats like stickers, playdough, and tattoos. If you anticipate having a few babies and toddlers at your door, you might want to consider offering a few non-candy options. Keep reading for the recipe and I will include a few affiliate links for products you may find helpful. Of course, Trick or Treaters don’t just show up at your door. Our neighborhood has a Halloween party for all of the local kids and our nearby churches love to offer ‘Trunk or Treat’ as an alternative to going door to door. 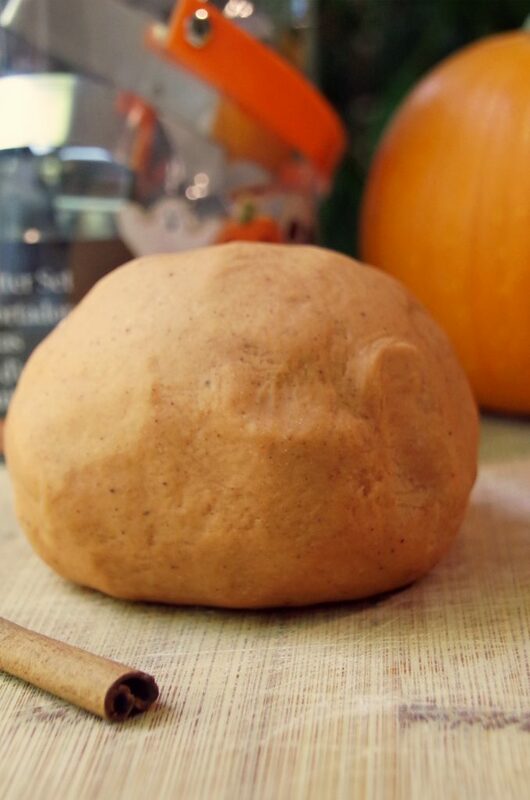 No matter what type of Halloween activities you enjoy, this pumpkin spice playdough recipe will be a big hit with the littlest Trick or Treaters! It requires only a few simple ingredients and less than 5 minutes on the stove. You can use pumpkin pie spice or just toss in the equivalent combination of cinnamon, nutmeg, cloves and allspice. Place pan over medium heat and heat gently while stirring continuously. Continue stirring as the mixture starts to clump together. This will get hard to do quickly! Turn the playdough out onto a floured surface and knead gently until the dough is no longer sticky but not dry either. Place in decorative bags tied with ribbon if you want to hand it out as Trick or Treat gifts.